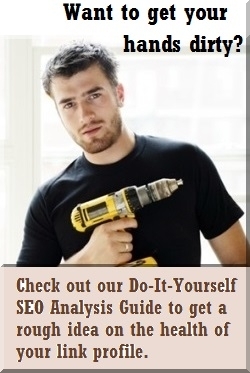 Assessing the type of penalty is always the first step for an SEO analysis. When a website receives an algorithm penalty like Penguin, there is no warning except for a loss in SERP rankings and corresponding loss in traffic. More often than not, this penalty can be easily attributed to either a new link building campaign or a major algorithm update that has hit you for existing links. 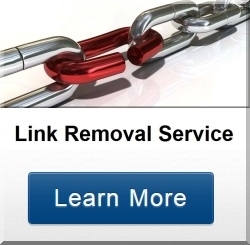 If there is no manual penalty message, it is probably a link-based algorithm penalty. From what I have seen, Panda has been toned down some and/or most people are well aware of it. The good thing about panda is how often it refreshes (supposedly roughly once every two weeks). If you made recent changes in site content or structure in the last few weeks, it may be a Panda (on-site) penalty. But if nothing has changed recently onsite, you can usually rule Panda out. In this case, it is most likely the Penguin (link based) algorithm penalty. Penguin is the most common Google penalty but potentially can be fixed with a disavow alone. If you have a manual or Penguin penalty, definitely check out our encyclopedia of risky links and link building practices.